"You're going to Harbor Island on a Friday night without a knife?" asked my friend Marlowe. That comment, and the great name, had my hopes up for an interesting bar. 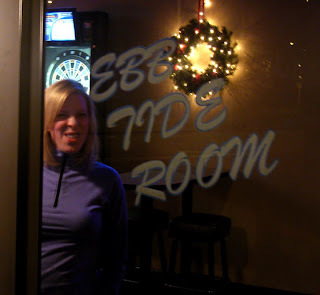 But the Ebb Tide Room, aside the Chelan Cafe, was one of the most boring bars and crowds I've seen. It was at what one would assume is one of the busiest nights and times for a bar, but perhaps the tide schedule is different here? It does open at 6:00am.